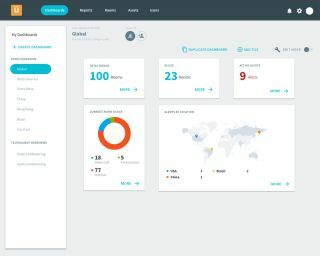 The What: Utelogy has launched an all-new version U-Manage, the platform’s management, monitoring, and analytics portal, at Integrated Systems Europe (ISE) 2019 in Amsterdam. “A key frustration for organizations has been the lack of data on workspaces and the devices within those spaces,” said William Tinnel, COO, Utelogy. “The previous version of U-Manage did a great job alerting when a device in a room was offline, but these latest enhancements to the portal provide the extraction of actionable data. The Bottom Line: U-Manage is designed to provide enterprise-wide visibility to rooms, equipment, issues, performance, and usage. It tracks all connected devices and delivers insights on those devices and the system as a whole, to enable more informed support and investment decisions to optimize the performance of rooms, real estate, and equipment. The Utelogy platform is vendor-agnostic, and allows organizations to centrally manage its entire AV infrastructure for better efficiency, cost savings, and improved uptime.